Looking for a honey substitute? Below you will find several alternatives to honey, for a variety of different scenarios. Maple syrups is an excellent honey alternative for use as a syrup on pancakes, and also for making glazes and barbecue sauces. Maple syrup has a deliciously rich flavour, and usually comes from the xylem sap of sugar maple, black or red maple trees. Where honey is being used as a sweetener, very often, sugar can easily substitute it directly. There are also different types of sugar to choose from, including fruit sugars. You will find a comparison of honey and sugar on this page. Actually sometimes called Cactus Honey - it comes from the agave plant and has nothing to do with bees. Some people do like to use it in cooking. Apricot jam can be used as an alternative to honey in glazes. Substitute a spoon of honey with a spoon of marmalade when baking cakes. Alternatively, use marmalade for glazes in place of honey. See these glaze recipes for more ideas. I certainly use orange marmalade when baking a marmalade cake. Heavenly! Complex bitter, juicy, taste (not sickly sweet) - note It's how marmalade is actually meant to be! But too good to be disguised in cooking! Sweet, sticky and sugary and popular ingredient for making flap jacks and toffee, if you have run out of honey, perhaps you might like to experiment by substituting it with one of these. There are some theories which state that honey will help stave off hunger pangs better than an equivalent quantity of sugar. This may be true (because it is a different type of sugar - see my page Honey vs Sugar for more information), however, it is still high in calories, and therefore, honey is not going to help you lose weight! However, pectic is an appetite suppressant, and I have a page about the apple cider vinegar and honey diet - which believe it or not, has some very interesting research evidence (in humans!). Aloe Vera is a popular ingredient in beauty and personal care products. Interestingly, it is sometimes combined with honey or other products such as tea tree oil. Like honey, tea tree oil may be effective as an antiseptic, and in dealing with MRSA. You will find the study on this link: http://jac.oxfordjournals.org/content/45/5/639.full (copy and paste the link into a new window to read the study ). 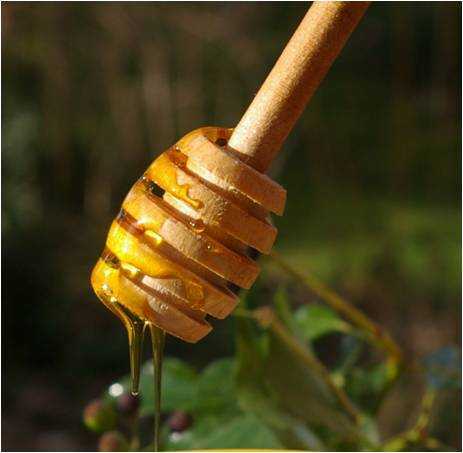 Can replace honey as a moisturizer in beauty treatments.